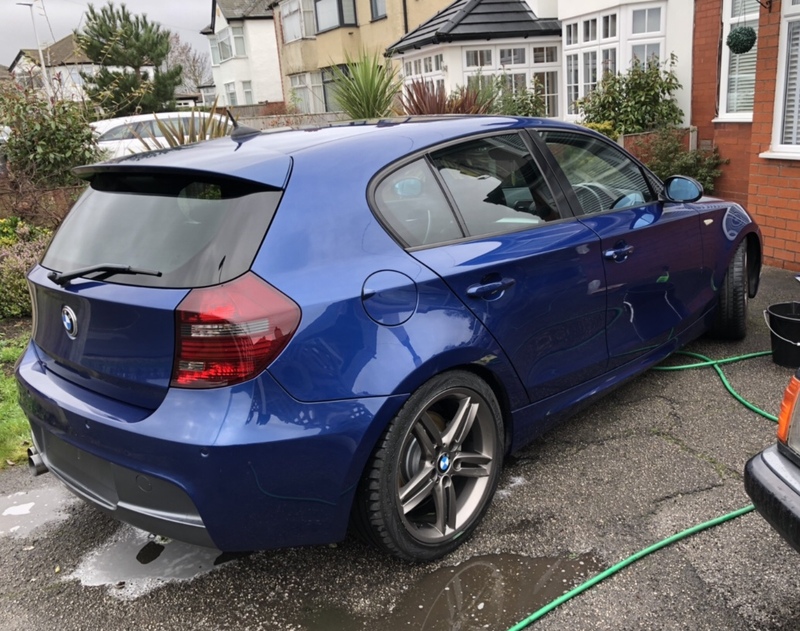 Evening all, got my 135i backbox on with a centre res delete this weekend. I LOVE IT! Anyway, here’s a better photo of the Coupe front bumper and 216M wheel combo! Yes definitely! I’ve got the spoiler and stubby aerial in my eBay watchbox! 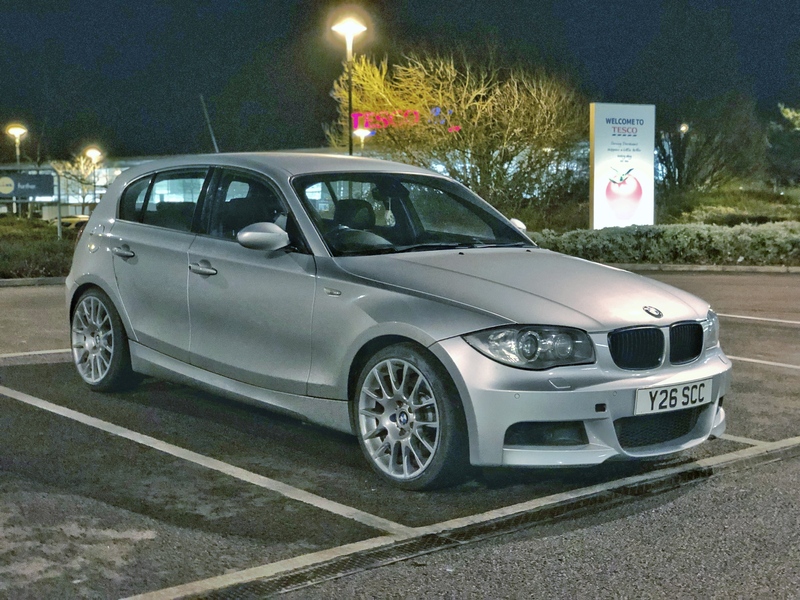 I’m on the lookout for a manual, 5 door 130i, ideally with a few mods suited for occasional track use. If anyone is thinking of selling please drop me a message. I’m based in the Midlands. Perfect one for you here matey - advertised on the forum. I wouldn’t let the miles put you off! sitruc_nuahs wrote: Yes definitely! I’ve got the spoiler and stubby aerial in my eBay watchbox! I really do need the garage space so the wheels and bumper does need to go first! Anyone after a spare set of 208Ms? got a 130i backbox and 135i centre silencer to go too! Try selling the wheels on one of the BMW wheel Facebook pages. You get lots of chancers but stuff sells pretty quickly. I have exchanged a few PM's with the seller but not heard back from him, so I think it is probably sold. Titanium silver looks so good. Wish I’d found one. Are they 216s off a 1er or a 3er? They look to sit out like 3er ones? If they are 3er ones, care to share some pics at shallow angles of the front/back so I can gauge how much they stick out?